Place the numbers 1 till 12 on the right spot to complete the clock. And count the images on the other blocks to find out where this piece belongs on the puzzle clock. 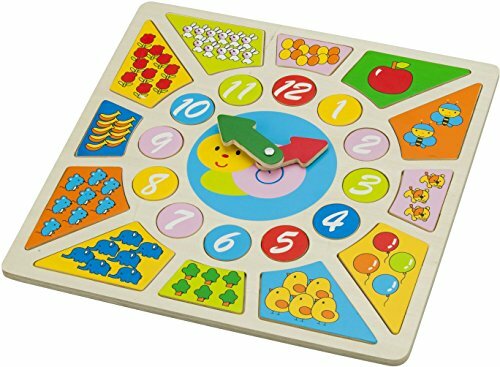 This clock is part of the “Educational” collection of New Classic Toys.